Michael Dunlop returned to winning ways as the 2017 Steam Packet Southern 100 got underway on the Isle of Man with victory in the opening 600cc/1000cc encounter. However, it didn’t come easy for the Senior TT winner with local man Dan Kneen pushing him all the way to cross the line less than two tenths behind the Bennetts Suzuki star on the DTR BMW he took to the podium in this year’s Superstock TT. 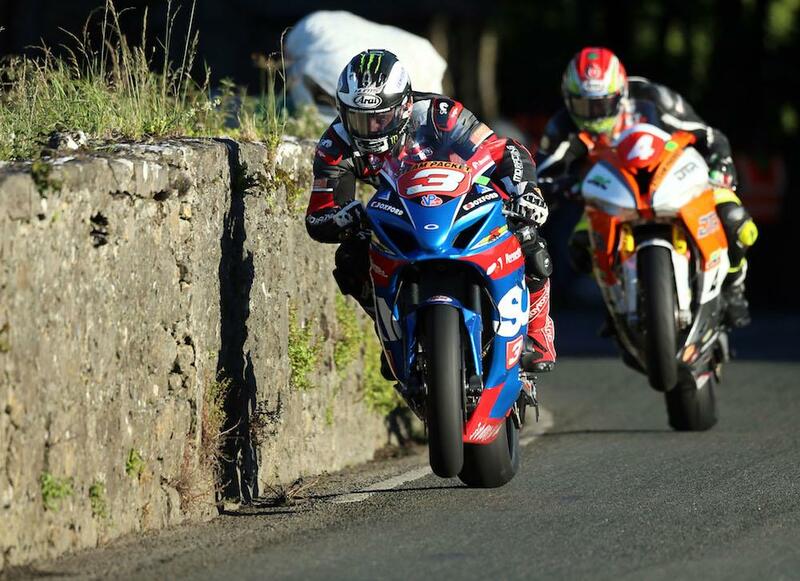 There was nothing between the Northern Irishman and Manxman throughout the race, with Kneen leading until Dunlop took over at the front with two laps to go as he looks to retain his Southern 100 crown after dominating the event last year. Determined to beat Dunlop in front of his home crowd, Kneen clocked a new lap record for the Billown circuit with an average speed of 114.185mph on the final lap but it wasn’t enough and he’d have to settle for second. Dean Harrison completed the podium on the Silicone Engineering Kawasaki, ahead of Jamie Coward and Ivan Lintin. James Cowton rounded out the top six.